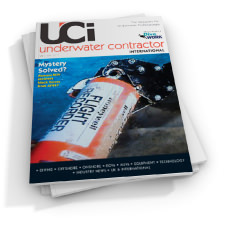 Abstract: Autonomous Underwater Vehicles are no longer engineering curiosities. They have been under development since the 1970s, but the last three years, in particular, have seen significant advances towards their use in operational missions. The state of the art for European and North American vehicles is summarised and the opportunities for future scientific missions are explored. The UK Natural Environment Research Council (NERC) AUTOSUB project epitomises the progress made in AUV technology, and recent field trials in coastal waters are described. Having proved its ability to gather scientific data autonomously, the vehicle is about to enter the next phase of performing operational scientific missions supported by appropriate technological upgrades. 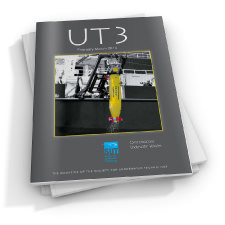 Abstract: The Ocean Technology Division of Southampton Oceanography Centre has designed, built and recently successfully field tested the AUTOSUB–1 autonomous underwater vehicle. This paper describes the development, design and testing of the navigation and control systems. The system is based upon a modular, distributed architecture with fourteen network nodes carrying out the essential vehicle navigation, control, monitor and safety functions. This paper will show how the use of this architecture has contributed to the speed of system implementation, test and integration, and will simplify the integration of future system enhancements. The navigation system uses the global positioning system (GPS) or differential GPS (DGPS) position fixes when surfaced, and dead–reckons when submerged using a Doppler velocity log. Separate nodes control the vehicle depth, position and speed. The mission control nodule is an event–driven command interpreter which co–ordinates activities and issues demands to the control nodes via the network. Abstract: This technical note gives examples of the categories and precision of some dive parameters recorded by new generation decompression computers. Examples are also given in their use in generating electronic dive logs. The ability to interrogate computers used by patients being treated for the effects of decompression sickness, can aid the management of that treatment, and is discussed. Abstract: In marine sediments macrofaunal organisms often produce deep reaching tubes or burrows that greatly influence the biogeochemistry of the inhabited sediment (Hylleberg & Henriksen 1980, Aller 1982, Huettel 1990). Among the burrowing organisms thalassinidean shrimps are a group of decapod crustaceans that are often abundant in coastal sediments (Suchanek 1985, Griffis & Suchanek 1993) and build complex burrow systems reaching up to 2.5m or more into the sediment (Pemberton et al. 1976). Recent studies focused on the species Callianassa truncata that occurs at high densities (120 inc.m –2) in shallow–water sediments off the coast of the Italian island Giglio in the Mediterranean sea and constructs elaborate burrows to a sediment depth of 80–100 cm (Ziebis et al. 1996a). Like many burrowing organisms its produces a ventilation current through its burrow system. Many attempts to study this ventilation in laboratory systems were difficult due to the constraints of aquariums and the difficulty of measuring inside burrows without destroying the sediment structure (Witbaard & Duineveld 1989, Forster & Graf 1992, 1995). Our interest was to gain information on the in situ burrowing behaviour and to find out how deep oxygen–rich water is actually pumped into the sediment by bio–irrigation and how this is affecting the sediment chemistry. We report here the construction of a diver observatory and its deployment in the field for in situ investigations of deep–burrowing organisms and their effects on the sedimentary environment. The large, hexagonal container (1.2m high, 2m diameter) was built of 6 transparent acrylic walls held by a stainless steel frame, and was covered by a lid made of PVC to avoid light penetration. It was buried in the sediment so that the lid was level with the sediment surface. The sediment from inside was removed to allow divers to enter through a door in the lid in order to perform observations and measurements from inside the observatory into the surrounding sediment. We demonstrate the unique possibilities of observing the behaviour of burrowing animals in their natural habitat down to a sediment depth of 1m and show the opportunities of direct sampling of pore and burrow water in intact systems as well as detailed in situ measurements through silicone–filled ports in the walls of the observatory. Abstract: Marine chemists, geologists and oceanographers have been studying the behaviour of hydrothermal plumes since the discovery of hot springs on the seafloor of the Pacific in 1977. Scientists are now trying to assess the amount of hydrothermal activity in the deep ocean, both past and present, to get some idea of the impact of hydrothermal fluid on the oceans as a whole, on the composition of seawater and marine sediments, and on the behaviour of marine ecosystems. Deep ocean hydrothermal vent sites tend to occur at plate tectonic boundaries. This article concentrates on recent research along the Mid–Atlantic Ridge (MAR), close to the area of the Azores Triple Junction, where the African, Eurasian and N. American oceanic plates diverge. The ridge in this area is broken up into several North–South trending segments, offset from each other by a series of East–West trending discontinuities. The ability to deploy a platform combining instruments for real–time geological study of the seafloor and geochemical studies of the water column above it, simultaneously, has resulted in the discovery of a might higher incidence of hydrothermal venting along the MAR than previously supposed. These improved techniques could now be applied to finding hydrothermal deposits in marginal basins where ore–grade deposits are known to accumulate. 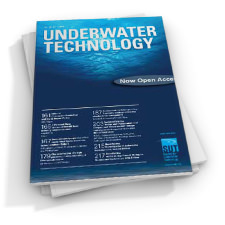 Abstract: This paper describes the design and development of a navigation system for a small remotely operated underwater vehicle (ROV). The navigation system uses sonar to localise the vehicle with respect to underwater structures. The navigation system has been successfully implemented. This has required careful construction of an estimator. Through implementation, we have shown that, with sufficient sensor information, a relatively straightforward vehicle model is sufficient. This is beneficial both in reduced computation time, and since it involves a small number of easily measurable physical parameters. Experimental results are shown for the localisation system combined with a simple control system. 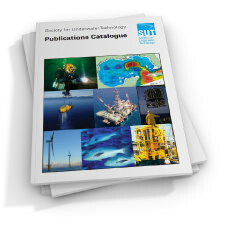 Fully Subsea Production : Is it a Reality? Abstract: This paper reviews risk, and the assessment of risk with regard to submarine pipeline systems, and highlights the shortcomings of both numerical risk assessment and simpler forms of criticality assessment, such as the use of the Boston Square. An approach to criticality assessment is proposed in which three levels of any failure mode are defined, with consequence and likelihood assigned at each level, as a means of overcoming existing shortcomings. It is demonstrated that the approach can be sued as a live integrity management tool throughout the operational life of a pipeline system. Abstract: The capabilities of a diesel engine to operate on an atmosphere of 70 mol% carbon dioxide and 30 mol% oxygen when pre–heated to 150°C has been demonstrated. The rated brake power is reduced by 20–23%, while brake–specific fuel consumption is increased by 23–28%. The hypothesis that carbon dioxide is seriously affecting both pre– and post–ignition processes by slowing down reaction rates is presented. Simulation work has shown that phenomenological models, when suitably modified, can predict brake performance parameters of engines operating on such atmospheres to within 5% within certain limitations. Custom–derived ignition delay and heat release models have been successfully validated specifically for non–air diesel operation. Abstract: The SAPPA (Sediment Acoustic and Physical Properties Apparatus) is a new instrument designed for the rapid acquisition of seafloor geophysical and geotechnical data. The present system can measure P–wave velocity and attenuation down to 1 m sub–bottom depth in sands and gravels, and the velocities of horizontally and vertically polarised shear waves at the surface. Preliminary tests show that sufficient energy is produced to propagate P–waves at frequencies up to 10 kHz in water and S–waves at about 120 Hz through at least 1 m of wet sand. 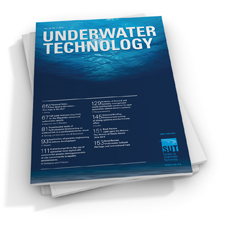 Abstract: This paper presents a Markov Random Field (MRF) approach to the segmentation of underwater images as part of a total underwater imaging system. The system uses image feed forward so that information from previous images can be applied to predict the next image in the sequence. The predicted image is then used within an MRF framework to improve the image segmentation and, in doing so, the algorithm emulates aspects of the human visual system by combining what it sees with what it is expecting to see. The overall method is outlined and the MRF segmentation is given in detail. Improvement to image sequence scene interpretation are demonstrated from laboratory and underwater trials. Abstract: It has been known for nearly 30 years that high waves in a linear sea have shapes which tend to that of the autocorrelation function. This fact forms the basis of the Shell New Wave Theory, but its acceptance by the offshore industry has been slow. For the present paper, 1000 random wave records have been simulated from a JONSWAP spectrum, and the highest wave in each record examined. The results are used to demonstrate the validity of the concept and its limitations. The statistics of the period and length of these individual high waves are examined together with the relationship between them. Their mean zero–upcross period does not tend to T1 as has sometimes been stated, and in fact cannot be stated simply in terms of spectral moments. Abstract: Divers are increasingly required to perform ‘safety to life’ calculations which, if incorrect, may result in a serious incident. The application of an ‘old fashioned’ manual computational technique, the Nomogram, is proposed as a cheap and simple tool for performing safety to life calculations. the Nomogram is friendly to non–mathematicians, applicable to the marine environment and may significantly reduce the risk of calculation error. Example Nomograms are illustrated and the advantages for improving diver safety presented. Abstract: The Centre for Environment, Fisheries & Aquaculture Science (CEFAS) is an Executive Agency of the UK Government’s Ministry of Agriculture, Fisheries and Food. Founded in 1902, it was formerly known as the Directorate of Fisheries Research. It is now an internationally recognised centre of excellence for research, assessment and advice on fisheries management and environmental protection. It is therefore both a producer and a user of a wide variety of spatial data. This paper describes its progress is developing a range of PC–based geographic information systems for specific purposes and gives examples of how these systems can be used for managing and researching the marine and coastal environment.